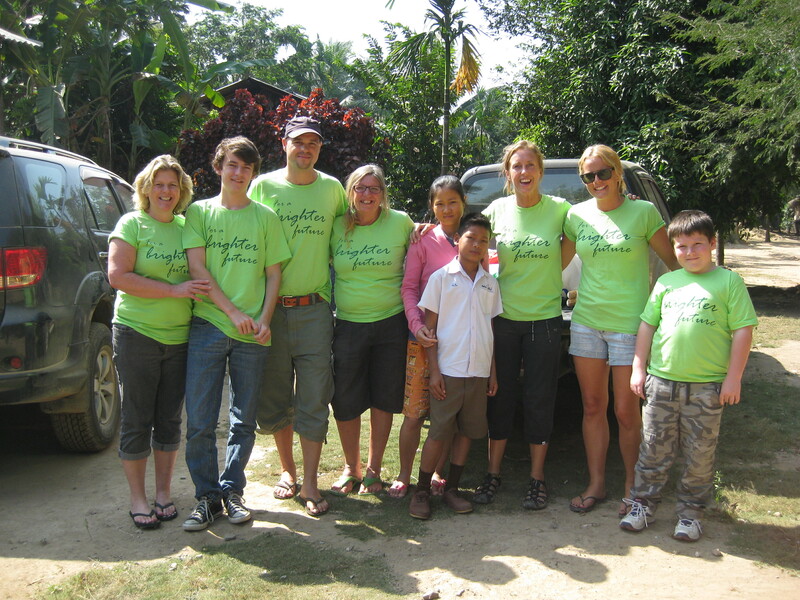 At 7am our team of volunteers met to head off in to the jungle and visit one of our villages called Ba Mak. It is only 2 hours drive away from Hua Hin but very remote. We need 4×4 trucks to reach the village as there are 2 rivers we have to cross and roads so deep in gully’s that it is a wonder we can get across. Once we arrived at the village we met the village leader called Paw Eh Eh who will be joining Jungle Aid Team as our first member of staff for the charity. She started working as the hospital liaison officer on 8th January 2013 and meets any sick patients that come in to Hua Hin for treatment or will support them if they need to visit a hospital in Bangkok. Emma our nurse started the medical clinic in the small bamboo shelter and saw many mothers, fathers and children with varying concerns. The illnesses varied from worm infestations, mumps to jaundice and skin infections. While the clinic was in progress, Millee and several other volunteers carried out the village assessment with Paw Eh Eh. This is the second village to receive the assessment which identifies areas of concern regarding sanitation facilities, access to clean water and natural resources used by the village which may be a way to earn an income for the families. Projects will be generated from the assessments. Once the medical clinic finished and the assessment had been completed we headed back home. Often we see wild elephants in this area who seem to come out at dusk. We were very lucky as we managed to see 2 beautiful and very big elephants on the road in front of us.